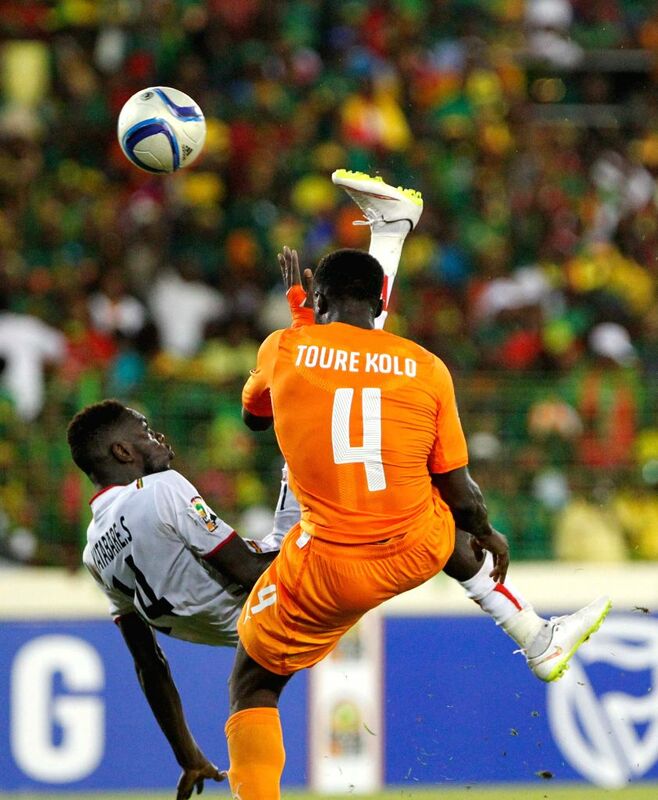 MALABO, Jan. 25, 2015 - Sambou Yatabare (L) of Mali kicks the ball during the group match of Africa Cup of Nations against Cote d'Ivoire in Malabo, Equatorial Guinea, Jan. 24, 2015. The match ended with a 1-1 draw. 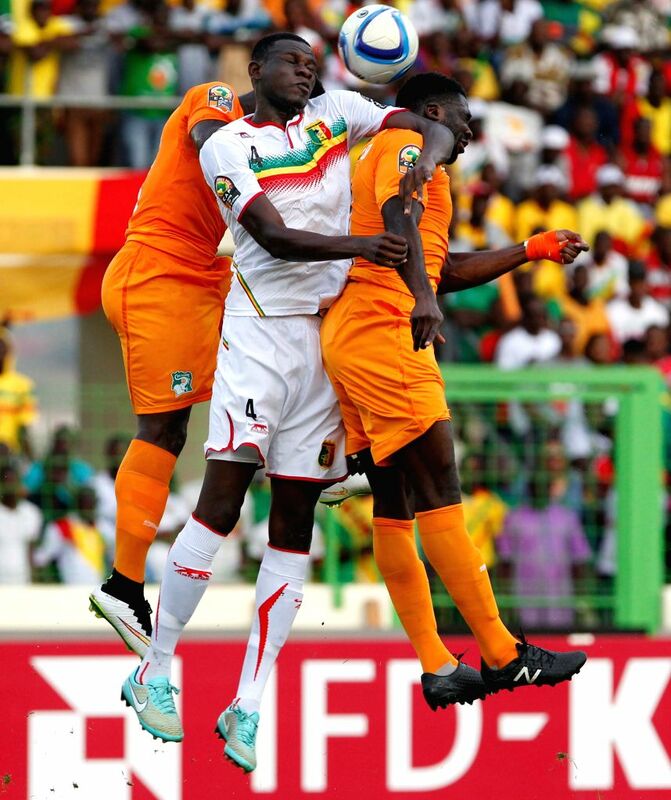 Salif Coulibaly (C) of Mali competes during the group match of Africa Cup of Nations against Cote d'Ivoire in Malabo, Equatorial Guinea, Jan. 24, 2015. 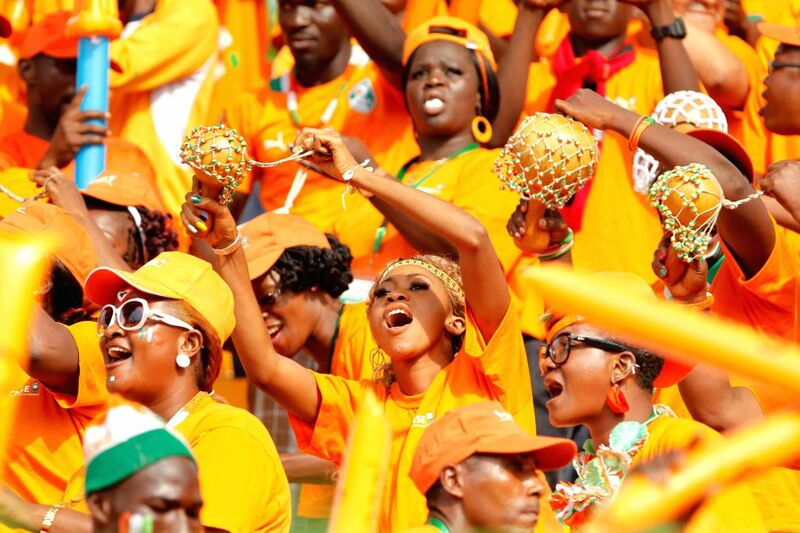 Fans of Cote d'Ivoire cheer before the group match of Africa Cup of Nations between Cote d'Ivoire and Mali in Malabo, Equatorial Guinea, Jan. 24, 2015.